Now that we’ve entered tourist high season, some of you may be looking for an alternative place to spend your holidays. We believe many people plan to head north of the island, a popular tourist destination, especially for this period. 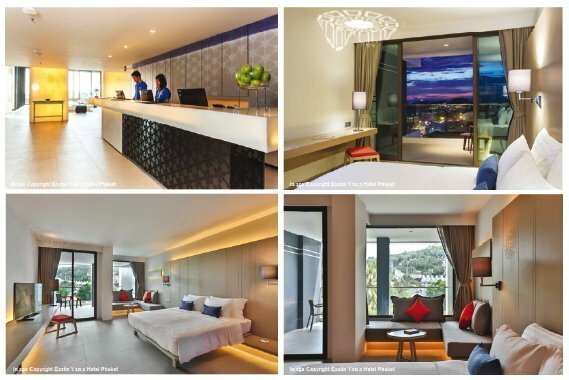 However, for those who like to spend their holidays amongst the crowds, we would like to introduce you to a new hotel in Phuket located in the Kata area. Opened only as recently as October, Eastin Yama Hotel Phuket is uniquely decorated with ‘Yama’ fl owers, the hotel’s symbol. This beautiful white fl ower is like the 3rd heaven and it’s featured everywhere in the hotel, on the walls, in the elevator, on the drinking glasses, and even on the lamp shades, a nice touch, as when the lights are on its shadow appears on the ceiling. Eastin Yama Hotel Phuket is perched on a hill before you reach Kata Beach, one of the most famous beaches on Phuket. Its location allows you to enjoy gorgeous views of the Andaman Sea and an unobstructed vista of the Kata hill range. Despite being located away from the beach, the hotel offers you serenity and ultimate privacy, and don’t worry about how to get to the beach, the hotel provides a free regular shuttle service to and from the hotel. When you fi rst arrive at Eastin Yama Hotel Phuket, the ever friendly hotel staff will serve you a welcoming drink and immediately make you feel that you are part of the Eastin Yama family. Furthermore, it’s defi nitely a resort for those who love to enjoy their holidays slowly, peacefully and with total relaxation. 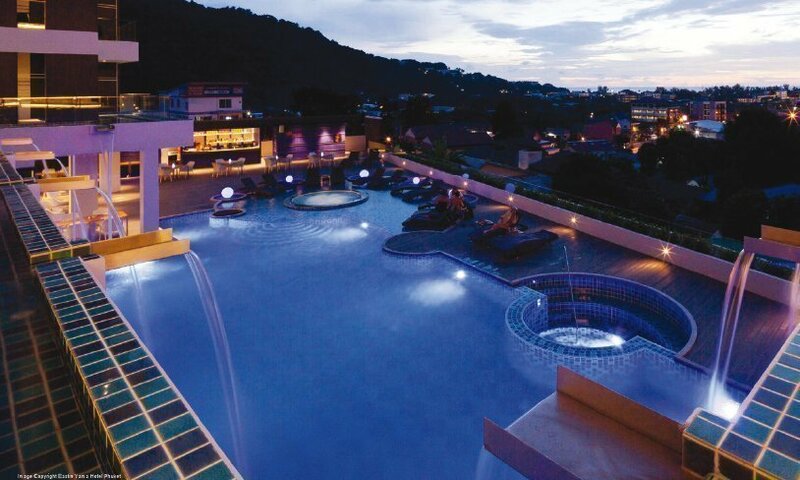 Eastin Yama Hotel Phuket also boasts a full range of facilities and services for you to enjoy during your stay such as swimming pool, Jacuzzi pool, pool bar, restaurant, fi tness center, kids club, conference room, banquet room, car park etc. 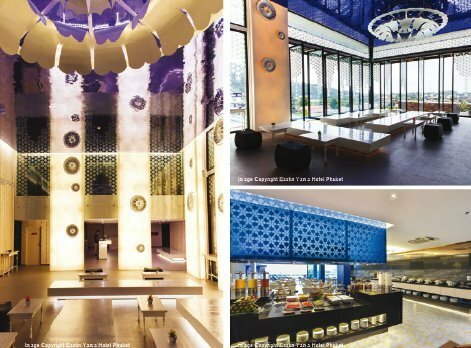 In addition, in 2015 the resort’s Aura-Rooftop Restaurant & Nectar Bar will open, serving seafood dishes and cocktails it’s the ideal place for a party. Meanwhile, Senzees, the hotel’s main restaurant is open from 06.00-23.00 hours for all day dining.